No matter how much time goes by or how many great things Marvel Studios seems to accomplish, it'll never quite be enough. That's because fans are still holding out hope that someday, somehow, Fox will make a deal that allows for the X-Men and/or Fantastic Four to join the Marvel Cinematic Universe and crossover with The Avengers. Don't get your hopes up, because Kevin Feige just shut that down. At least for a very long time. The Marvel Studios President recently did an interview with Variety and as is often the case, the possibility of a deal with Fox came up. Kevin Feige sounded less than optimistic about it. In fact, he pretty much ruled it out entirely for the foreseeable future. Here is what he had to say. "It's an impossibility at this juncture. We certainly have enough films to keep us busy for a number of lifetimes." So there you have it. This question has come up plenty of times before but this time, Kevin Feige really seemed to shut things down. When Marvel Studios made their deal with Sony to bring Spider-Man into the MCU, it gave fans renewed hope. Spider-Man is just one character, though. 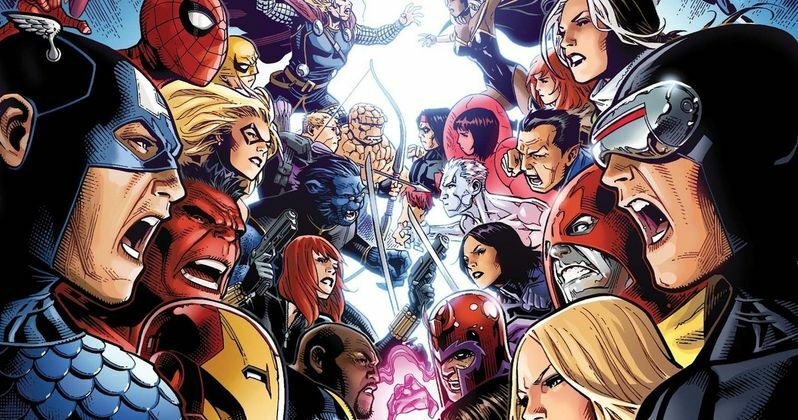 Outside of the logistics of working out a deal with Fox, which seems nightmarish at this point, bringing in all of the X-Men or even the Fantastic Four is much more tricky, for a variety of reasons than bringing in Peter Parker and his cast of supporting characters. Not only that, but Kevin Feige doesn't feel the need to make a deal with Fox because he is sweating the competition. He is more interested in what Warner Bros. is doing with their DC Comics adaptations than anything and doesn't appear at all threatened. "What other people are adapting from the comics medium, I watch with as much interest as I do any other movies. Because I'm a fan, and I want to see what other people are doing in the world. I've always believed in expanding the definition of what a Marvel Studios movie could be. We try to keep audiences coming back in greater numbers by doing the unexpected and not simply following a pattern or a mold or a formula." Audiences are definitely coming back, even with Marvel Studios trying some very different things. Doctor Strange opened up an entirely different, straight-up magical side of the Marvel Universe and has already grossed nearly $600 million worldwide. As for unexpected, an X-Men and Avengers crossover would certainly be unexpected, but not something we can look forward to, at least in our lifetimes. At the same time, Kevin Feige is right about the deck being stacked in terms of projects Marvel Studios upcoming projects, so it would be pretty hard to find a place for X-Men or Fantastic Four at this point. Fans had some reason for hope recently in terms of a deal with Fox and Marvel Studios. Not only have the TV side of Marvel and Fox been working together on projects like FX's upcoming Legion, but it turns out they have been trading characters as well. It was recently revealed that a deal was made for James Gunn to get Ego the Living Planet from Fox for Guardians of the Galaxy Vol. 2 in exchange for some powers for Negasonic Teenage Warhead that were used in Deadpool. It looks like that will be about as far as things go, if Kevin Feige is to be believed. And yes, he should be believed, because he is running the show. Even if recent Avengers: Infinity War set photos did seem to tease that Doctor Doom might be coming back into the fold. As far as we know, at least from this latest bit of news, that is not true. But hey, stranger things have happened.